Best-in-class front and rear suspension travel and electronic power steering deliver a smooth ride and easy handling in this hard-working, good looking machine. 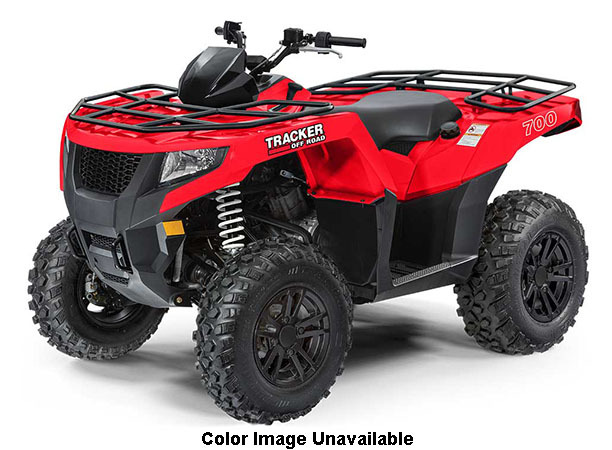 The versatile and powerful TRACKER 700EPS adds on-the-fly 2WD to 4WD shifting, 11 in. ground clearance and 1,050 lb. towing capacity to take you where you want to go and do what you need to do.